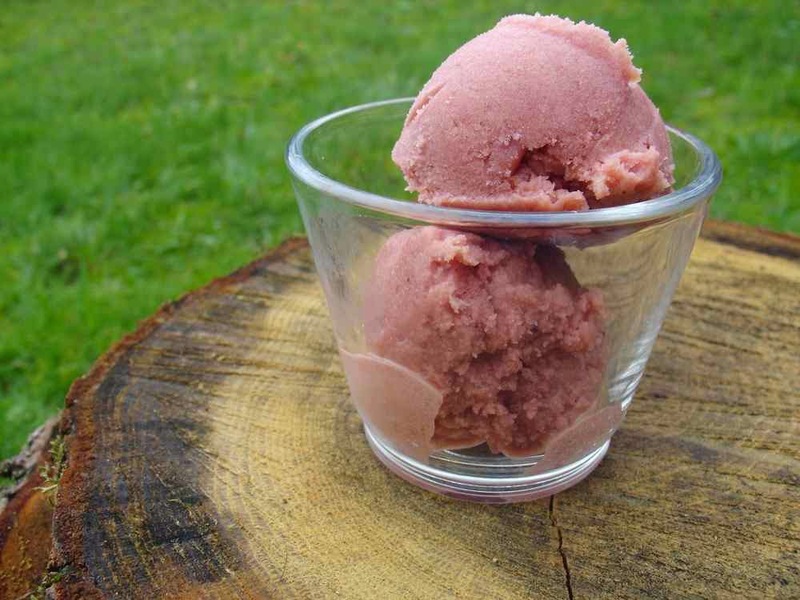 So if you're a plum and spice lover, this ice cream may be for you. Otherwise, come the next time ! Its rich flavor matches perfectly with my amaretti. I finished my lunch yesterday with the last little one biscuit and two scoop of this ice cream, yummy ! Cook your plums until soft and tender ; you can roast them, or cook them in a saucepan or in a microwave. Let cool. Remove the cardamom pods from the seeds. Crush the seeds in a mortal. Place the crushed seeds with the milk in a saucepan. Gently bring to a boil, remove from heat, cover and let infuse for 30 minutes. Separate the plums and their juice (keep it !). Combine the plums, ginger, infused milk and the salt in a blender and blend until smooth, you may have to use a few amount of reserved juice. Add agave syrup to your taste, blend again. Strain the mixture, chill well in the fridge for several hours or overnight. Pour the mixture into the bowl of an ice cream maker and churn according to the instructions. Freeze until serving. 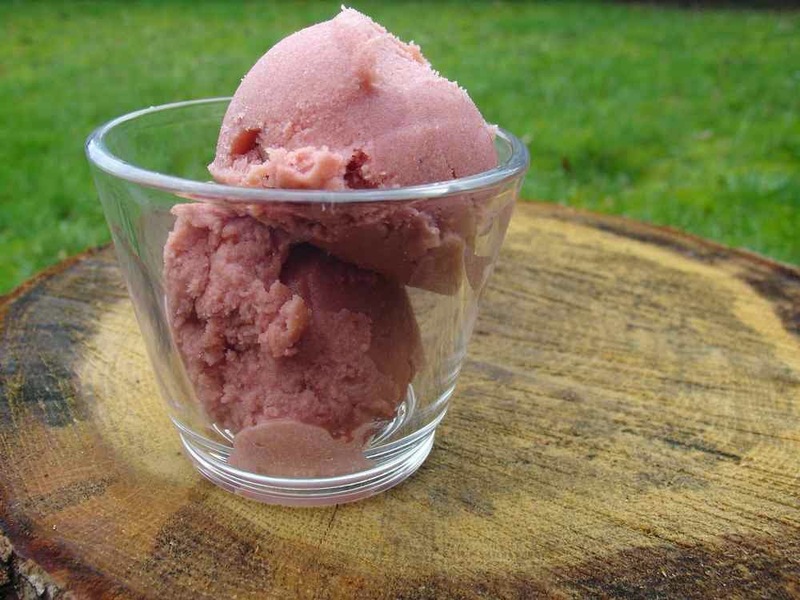 Let at room temperature between 10 and 15 minutes to form easily nice scoops ! Ohhh this ice cream sounds marvelous, beautiful colors and some indians flavors, love it!